Valve Getting Ready For Its "Next Gen" Source Engine? Valve's Source Engine has been powering the company's games for nearly a decade now, having made its debut all the way back in 2004 with Half-Life 2. While it's done an admirable job in recent years for games like Left 4 Dead, updates and revisions can't mask the fact it's getting a little long in the tooth. A replacement was always going to be needed, then, but when? It might be soon, if these snippets of code found in Valve's recently-released Source Filmmaker are to be trusted. Along with mentions in code, there's also apparently some icons hidden away in the Source Filmmaker for "Source 2 tools". Interestingly, in September of last year Valve made a very quiet change to its website, adding the line "And it's about to get even better" to its description of the Source Engine. 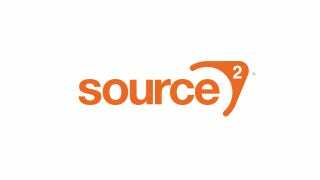 Since Valve's last "generation" of titles (HL2, Left 4 Dead, TF2) made appearances on consoles like the 360 and PS3, could a newer version of Source be on the way soon that's better suited towards the next generation? Or is this just some handy future-proofing for a tool that'll likely still be in use long after the original Source Engine is done and dusted? We've contacted Valve for comment and clarification, and will update if we hear back.